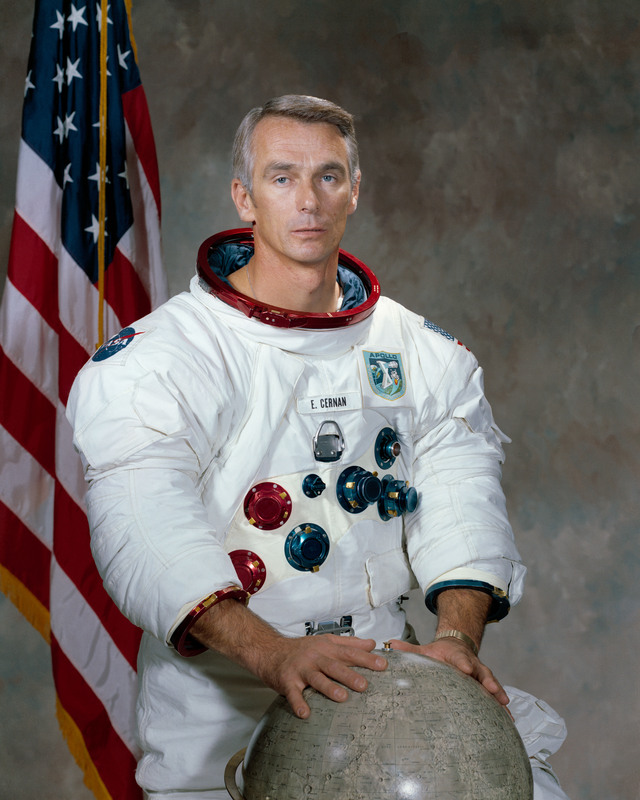 Euguene Cernan, the last man to walk on the moon, died Monday, Jan. 16, surrounded by his family. 2017 is going about the same as 2016. The Grim Reaper could take a vacation. "As I take man's last step from the surface, back home for some time to come – but we believe not too long into the future – I'd like to just (say) what I believe history will record. That America's challenge of today has forged man's destiny of tomorrow. And, as we leave the Moon at Taurus–Littrow, we leave as we came and, God willing, as we shall return, with peace and hope for all mankind. Godspeed the crew of Apollo 17."